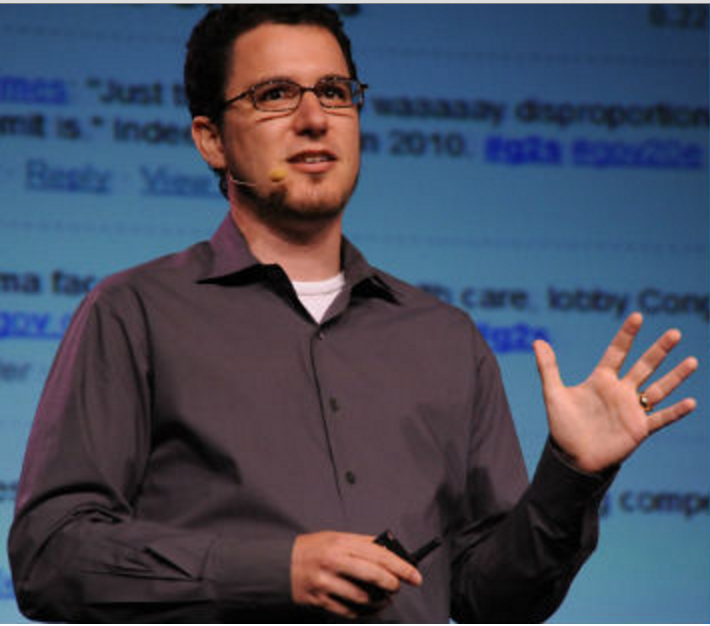 I finally took a deep dive into ‘Lean Startup’, a practice founded by Eric Ries that blends customer development, design thinking, agile engineering, and lean manufacturing into an all-purpose entrepreneurial strategy that can be practiced by any team in any organization large or small, private or public, new or established. It’s for modern companies looking to create better products and services for their customer, and/or transform their way of doing business, faster, better and more cost-effectively. Practitioners brainstorm using the tear-away Business Model Canvas, check in constantly with customers, experiment with Minimum Viable Product solutions, and iterate like crazy while incorporating feedback and learnings throughout. The Lean Startup practice dovetails beautifully into Bootstrapping Brilliance, a strategy originally pioneered by Doug Engelbart and further distilled in recent years. Bootstrapping Brilliance adds five strategic accelerators for enhanced leverage, alignment, and vision. Try mapping your current project(s) onto the Canvas, use it to brainstorm ideas for a new or improved product or service. Educators, Non-Profits, Government Innovators – see tips for mapping a mission-driven initiative. Go deeper with the Value Proposition Canvas and the Culture Map. Take Lean to the next level with Bootstrapping Brilliance. See also the complementary Galbraith Star Model. 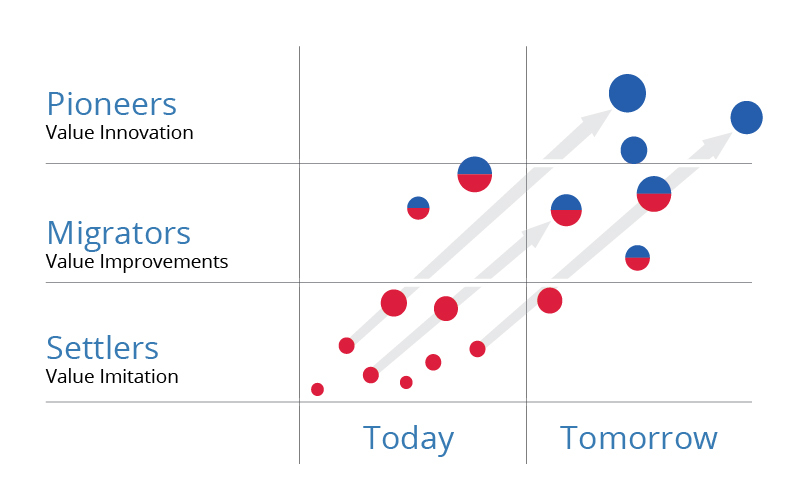 Chart your organization’s initiatives using this Pioneers-Migrators-Settlers chart. Doug Engelbart used a similar “Frontier Map”.